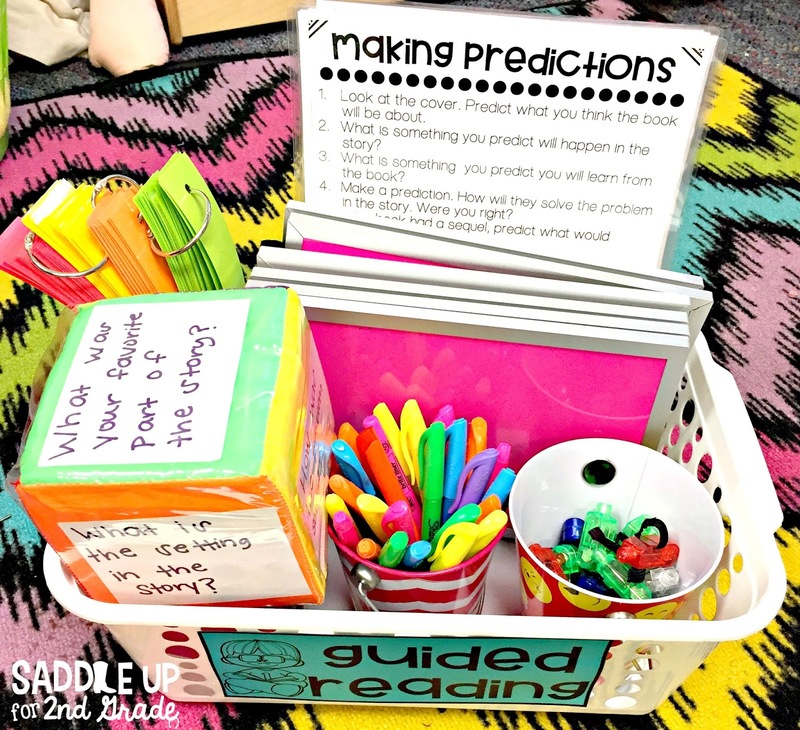 Last week, I posted a picture of my guided reading basket on Instagram. I had lots of questions about it so I wanted to share it with you today. 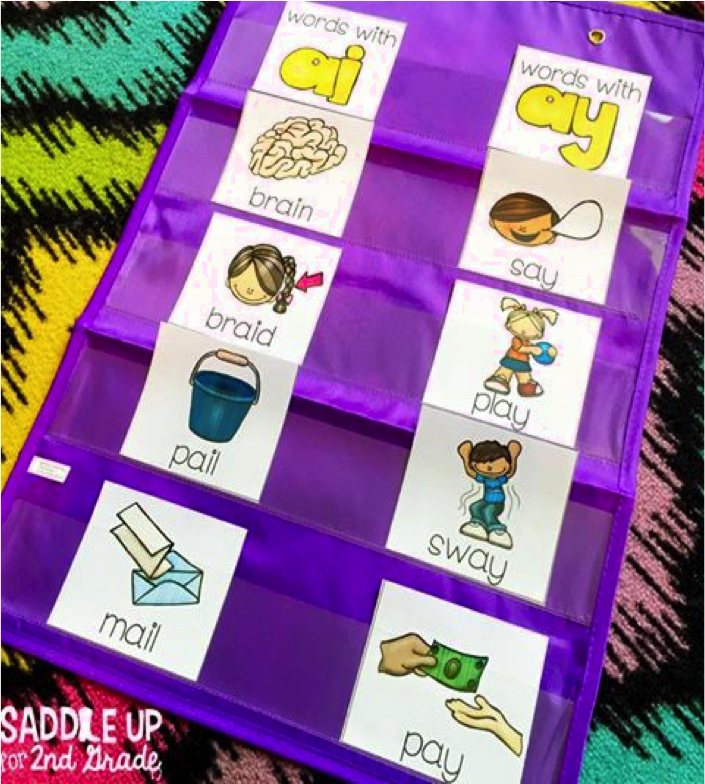 This basket stays on a shelf right next to my guided reading table and it has everything that I need on hand. These are things that are always used and can be used with all my groups. Let’s start with the pocket dice. These came for OrientalTrading and I LOVE them! Here, I’ve wrote story element questions on index cards. I love these because I can adapt them to whatever comprehension skill we are learning at the time. They can also be used for different subjects. Also, for comprehension, I have question stems on hand. 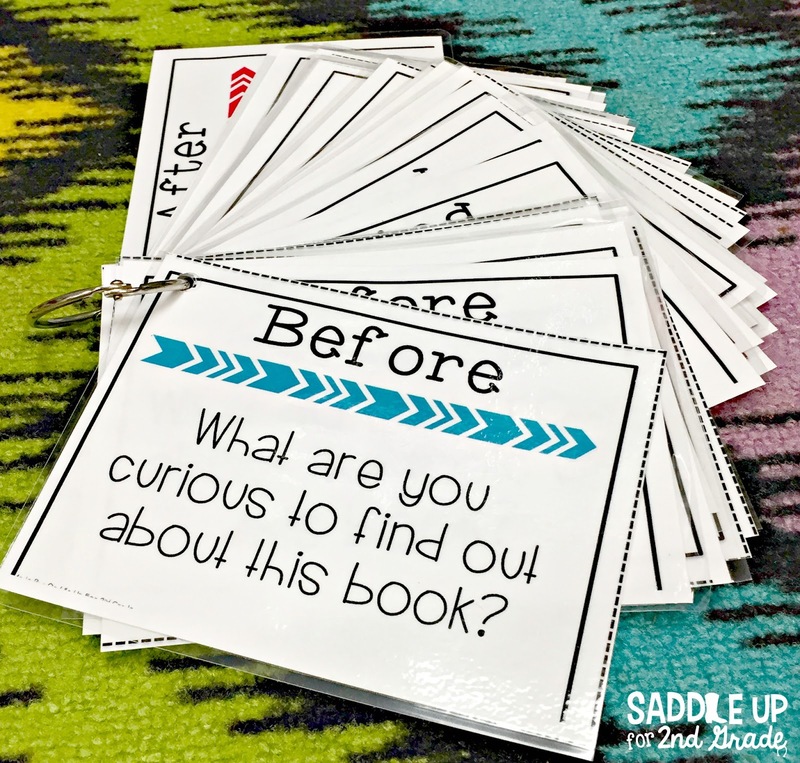 These can go with any book and are perfect for small groups. 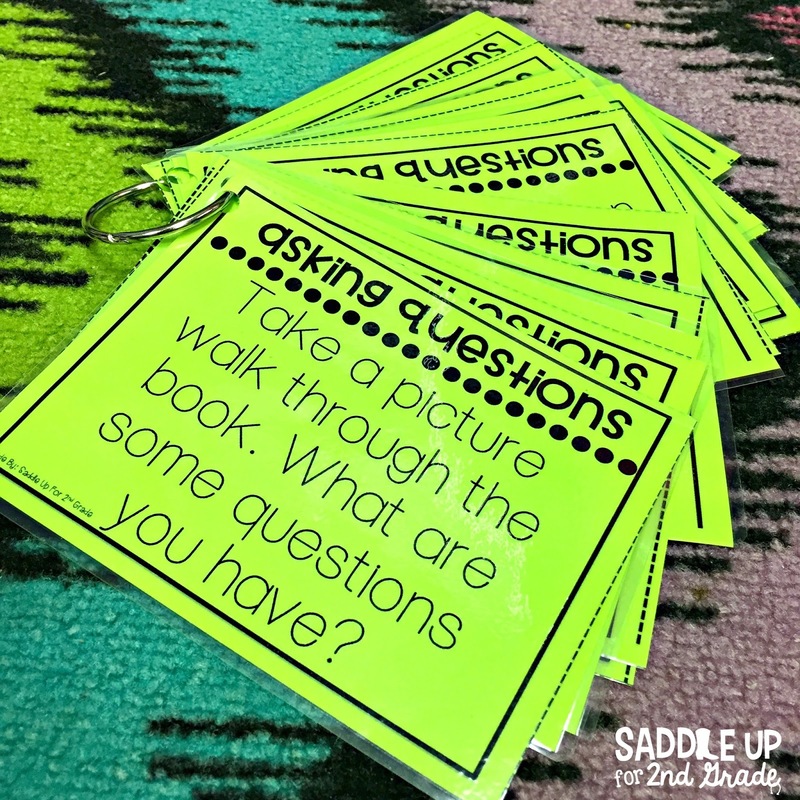 This specific set includes questions to ask before, during, and after the story. 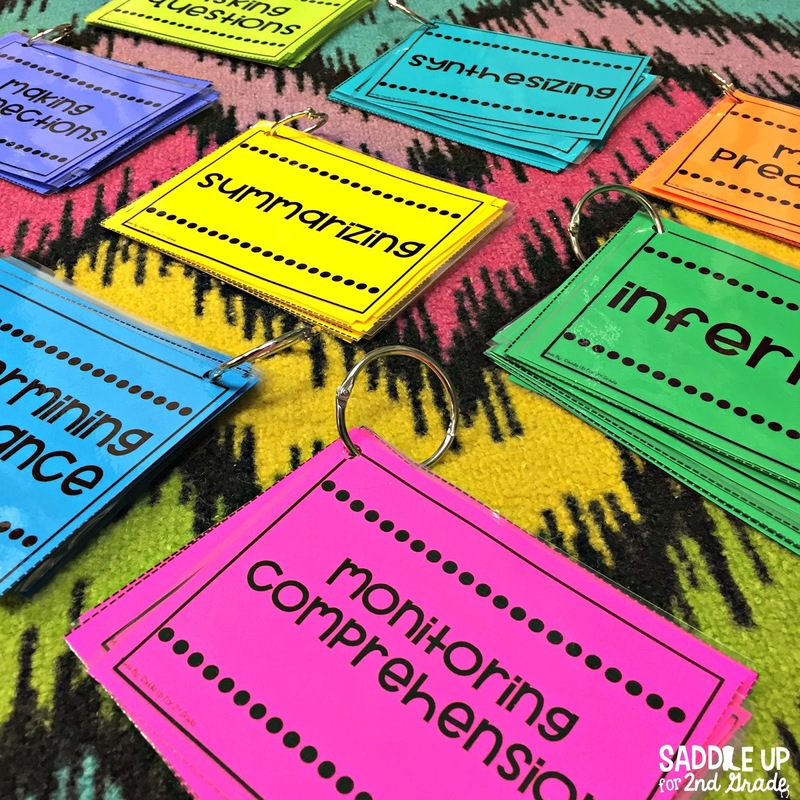 I also have sets that go with specific topics that I switch out often based on what we are learning at the time. Each set is a different color so that I don’t get them mixed up. These are also good for partner reading. 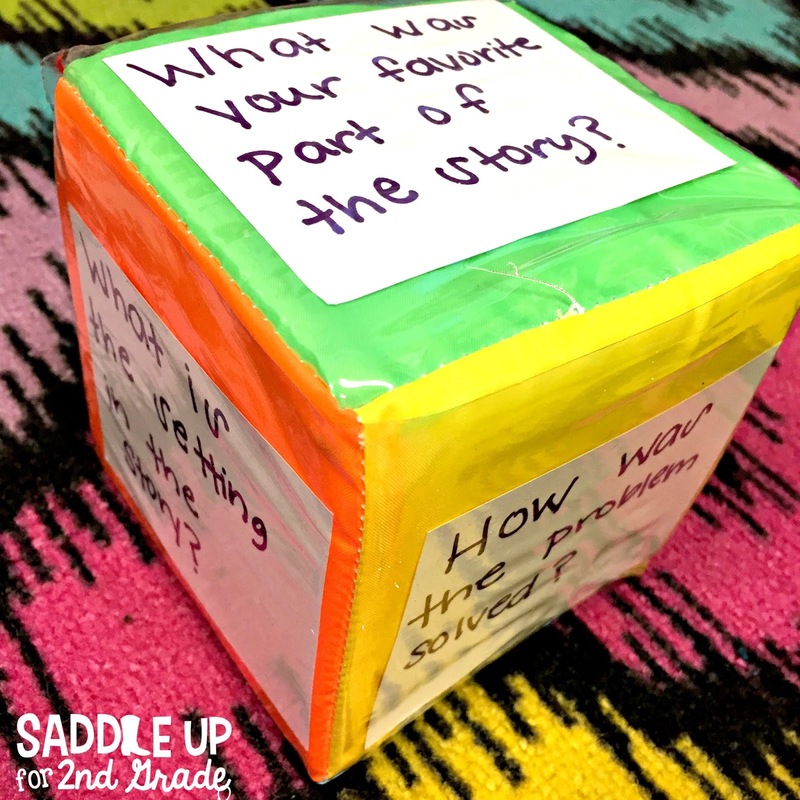 Once they are finished reading, kids can work together and ask each other questions. These larger poster pages are also used. They include the same question stems, just all on one page for easier reference. The pink dry erase boards came from the Target dollar spot. 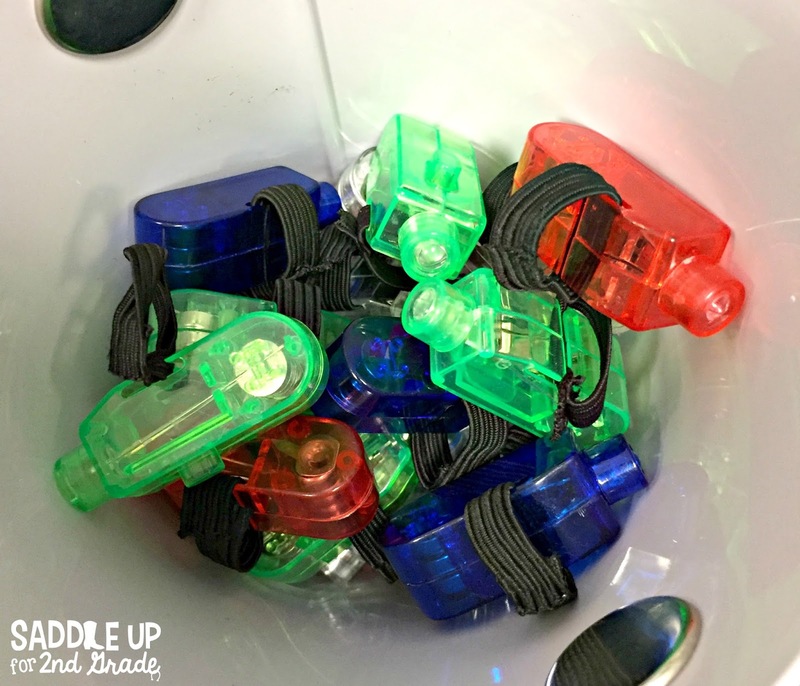 These are used for word work and quick writing checks. I have a set of 6 and they’ve really held up much better than I thought. Their current favorite tool are our finger beam lights. These also came from Oriental Trading. They come in four different colors (red, blue, green, and white) and the kids go absolutely nuts over them. I’ve purchased several sets and these are by far one of my favorites and they’ve lasted me a good while. The black piece of elastic that slides over their fingers can easily slide out but it is very easy to put back in. I’ve also purchased this set from Amazon and been happy with them. 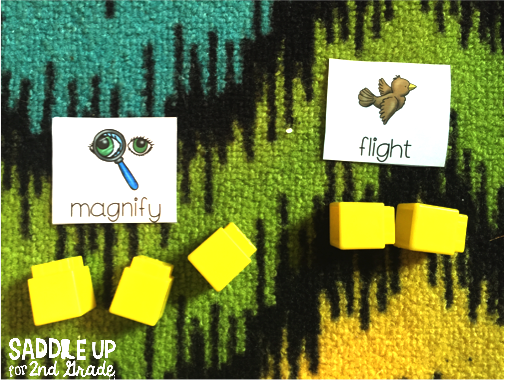 Underneath the pocket dice in the main photo, I have an index card box that holds , fluency phrases, sight word cards and phonics picture cards. 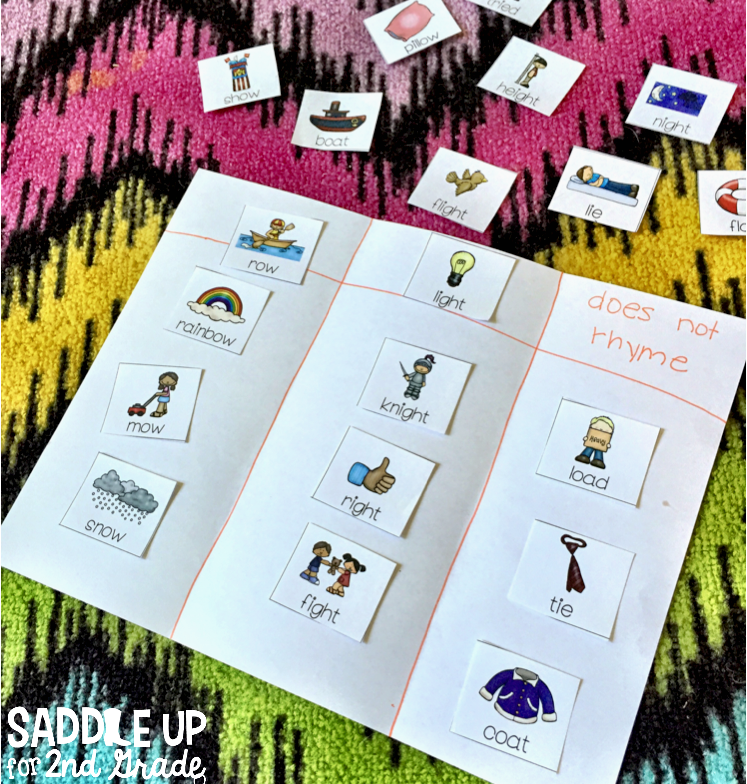 We use these for sorting activities, rhyming practice, segmenting phonemes, and so much more. Here are some examples. Some other random, smaller items in the basket are listed below. These are items that we always need and can be used in multiple ways. 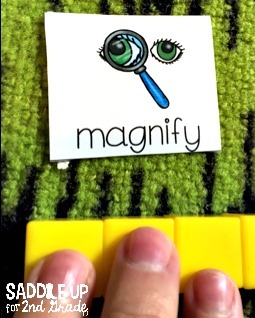 –magnetic letters (lowercase) and magnetic letters (uppercase): I store these in a plastic case next to my basket but we use them almost daily for making spelling and sight words. 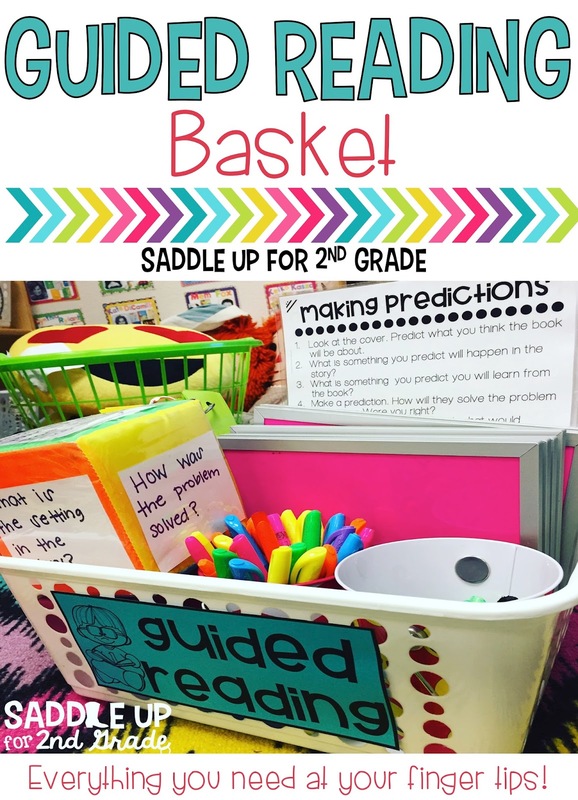 If you’d like to create your own guided reading basket, you can grab my label here! If you’d like to save this idea for later, feel free to pin the image below. 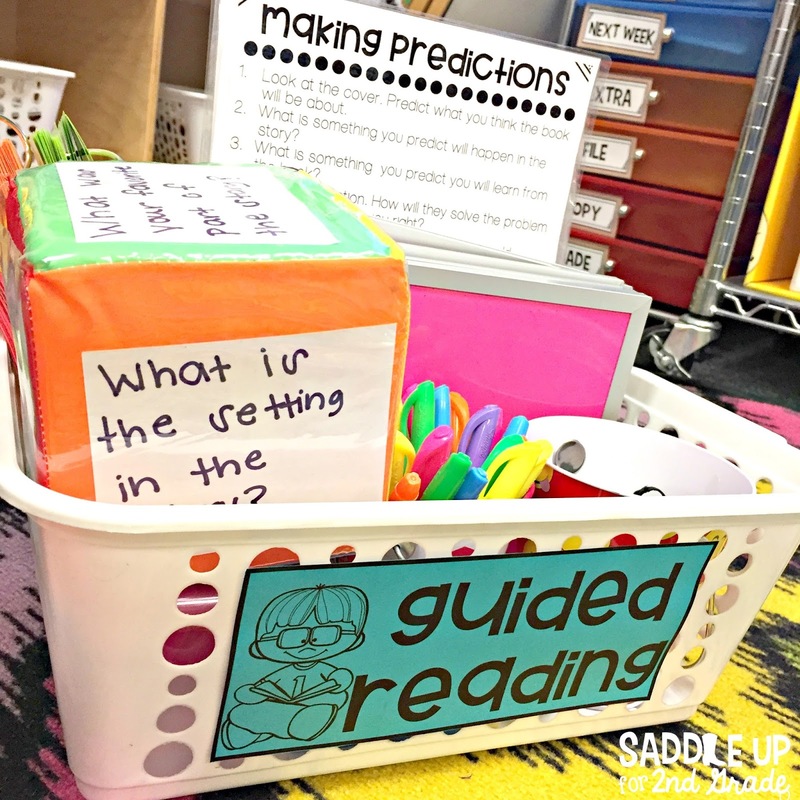 For more ideas for guided reading, check out my Pinterest board! Disclosure: I was provided items to review by Oriental Trading, but all opinions expressed are my own.